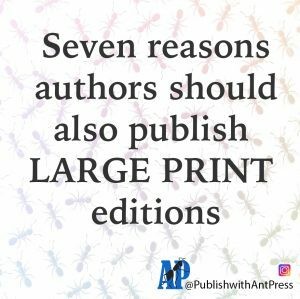 Ant Press helps authors self-publish all genres of book. 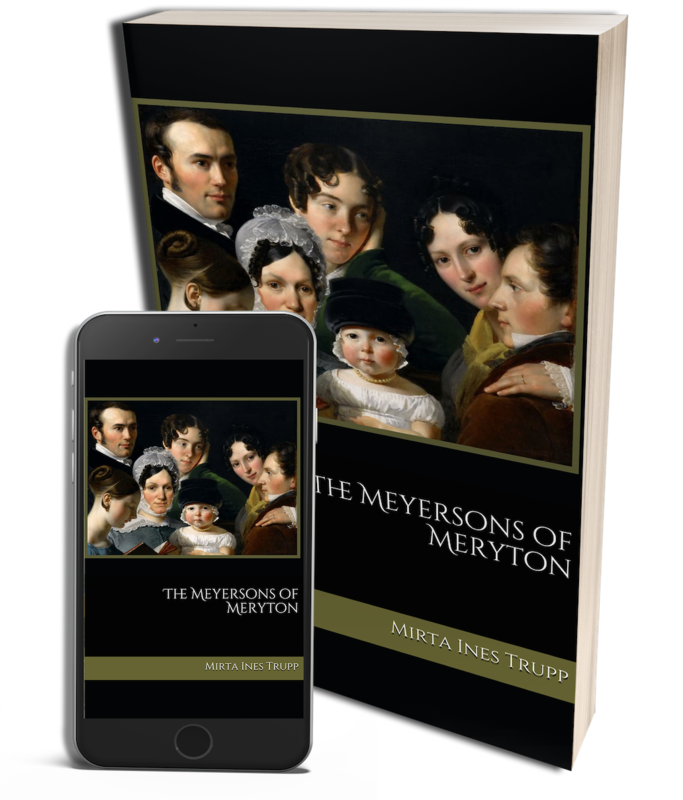 This time, we formatted a romance, and the author requested scrolls and flourishes which fit beautifully with her Regency style of writing. 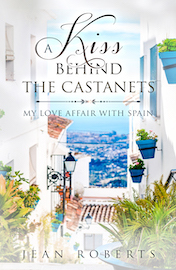 Congratulations to Ant Press author Jean Roberts whose book, “A Kiss Behind the Castanets: My Love Affair with Spain”, is once again No. 1 in Family Travel category. 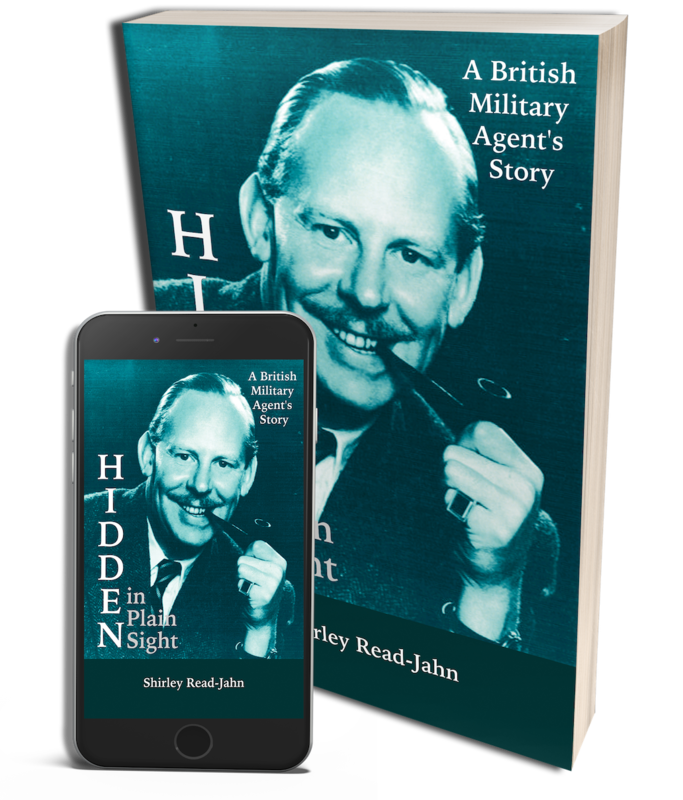 The book’s available from Amazon in ebook and paperback formats. 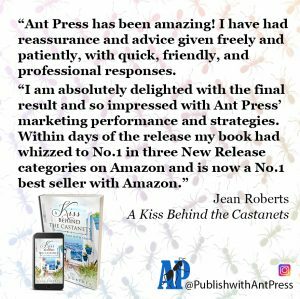 When Shirley came to Ant Press seeking help with self-publishing her first book, we had no idea it was to be the first of four. Great news! 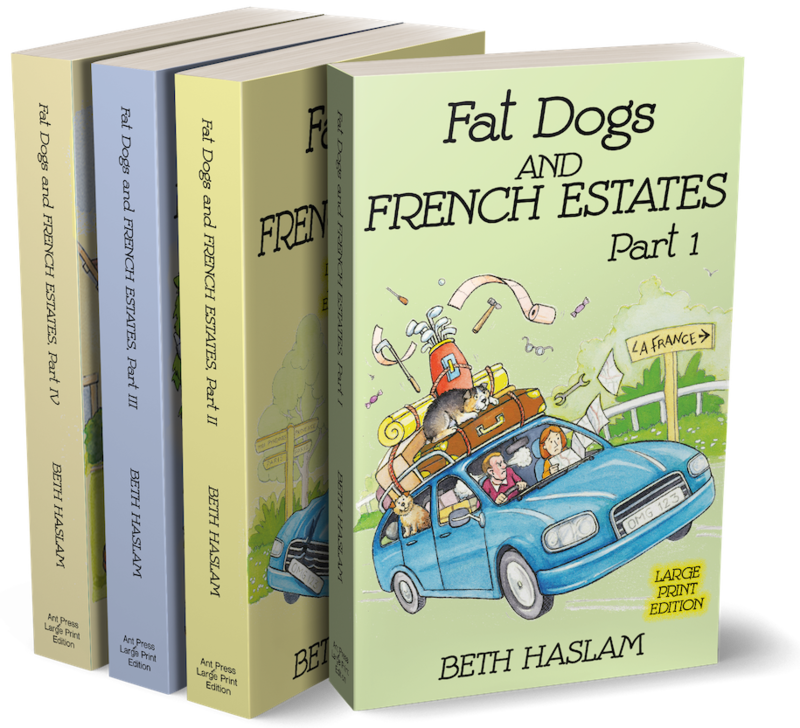 Beth Haslam’s Fat Dogs and French Estates series is now available from Amazon in LARGE PRINT as well as Kindle and regular paperback! Fact. Large print books are gaining hugely in popularity. But what exactly is a Large Print edition? 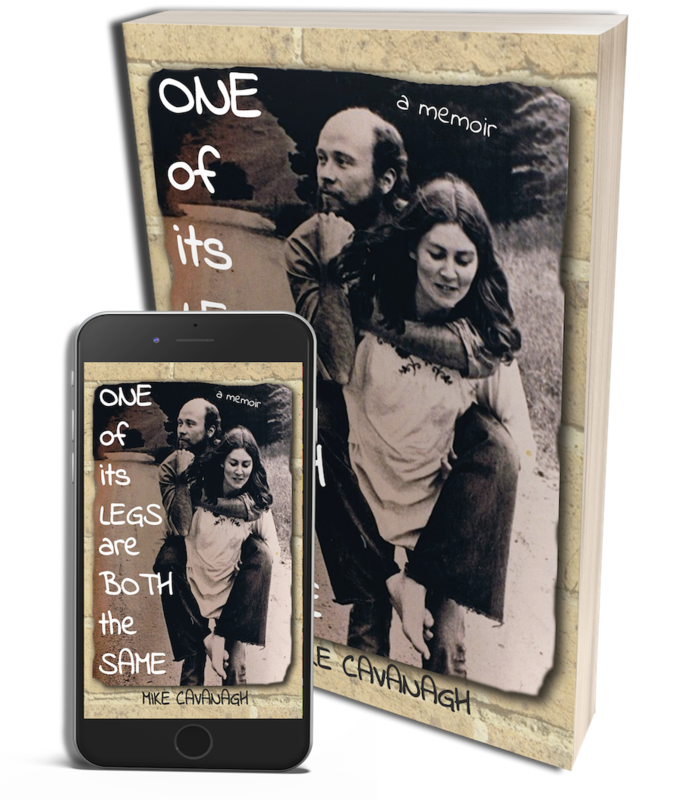 The truth is, there is much more to a Large Print book than just a regular paperback with larger-sized type. 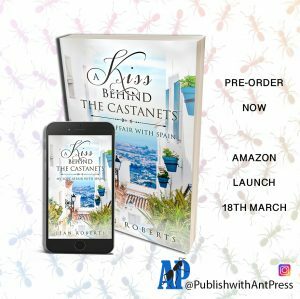 Ant Press is delighted to announce that the ebook of Jean Roberts’s memoir, “A Kiss Behind the Castanets: My Love Affair with Spain” is now available on Amazon pre-order until 18 March when it will download automatically to your Kindle. 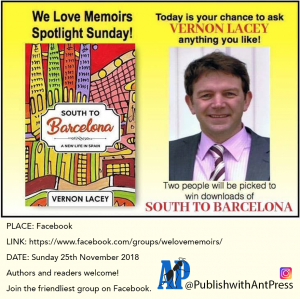 In the We Love Memoirs spotlight this weekend is new author Vernon Lacey. He’s happy to answer any questions you may have about his life, Spain or his publishing journey. Join the friendliest group on Facebook and be part of the chat. Do you know what makes you, you? Mike thought he did until a diagnosis of Asperger’s Syndrome in his sixties made him rethink who he was, and how he got there. 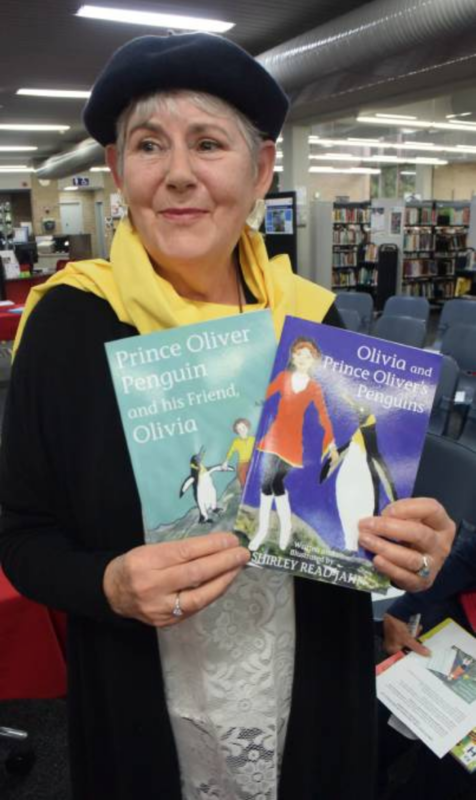 Shirley Read-Jahn’s newest children’s books follow the story of a young girl and a very persistent young king penguin. Strangely enough, the books are based on a true story.